Microwave butter in a 2-cup glass measuring cup at HIGH 1 ½ to 2 minutes or until butter is brown. Remove from microwave, and immediately add minced garlic. 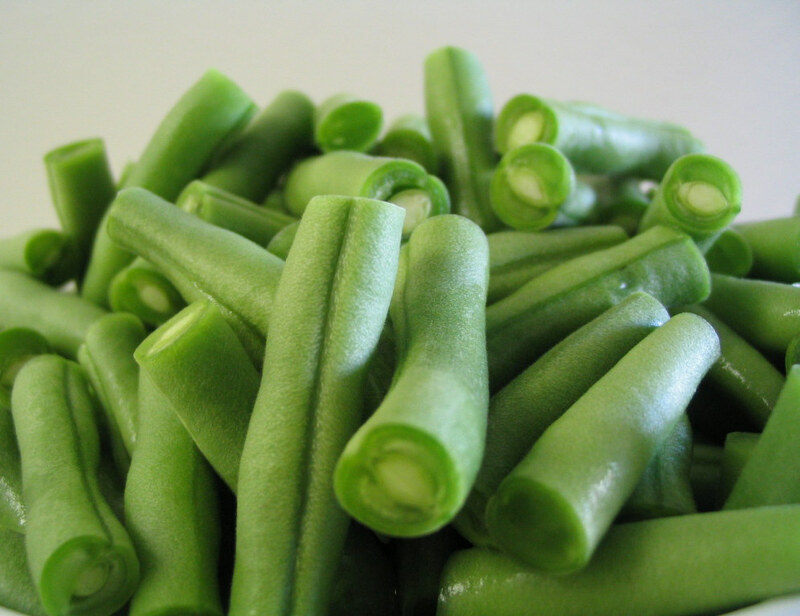 Place green beans, onion, and 3 Tablespoons water in a microwave-safe bowl. Cover bowl tightly with plastic wrap, folding back a small edge to allow steam to escape. Microwave at HIGH 4 to 5 minutes or until vegetables are tender; Drain. Toss together hot beans and sliced onion, brown butter mixture, and salt; sprinkle with cracked pepper. This recipe is taken from the August, 2007 Southern Living magazine and states browning butter is a French technique that gives butter a rich and nutty flavor.